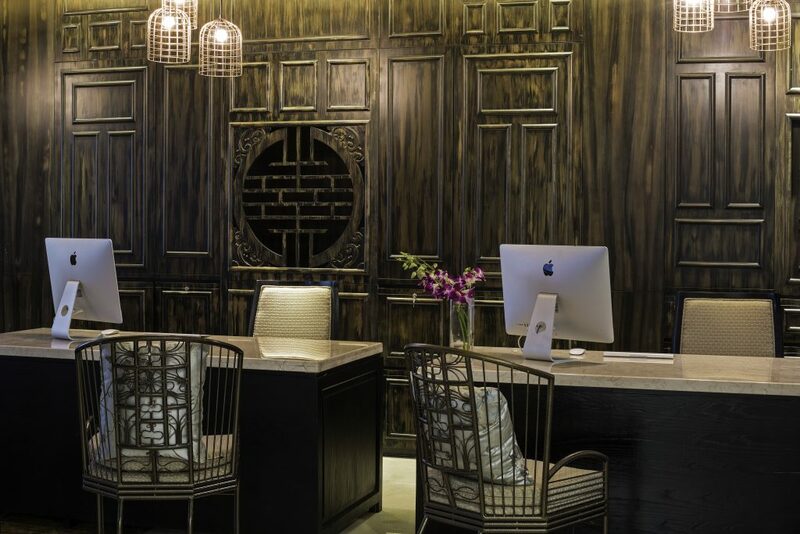 A rainy morning in Phu Quoc is the perfect time to reflect on my time in Hoi An, a stunning world heritage town around 35 minutes from DaNang Airport. 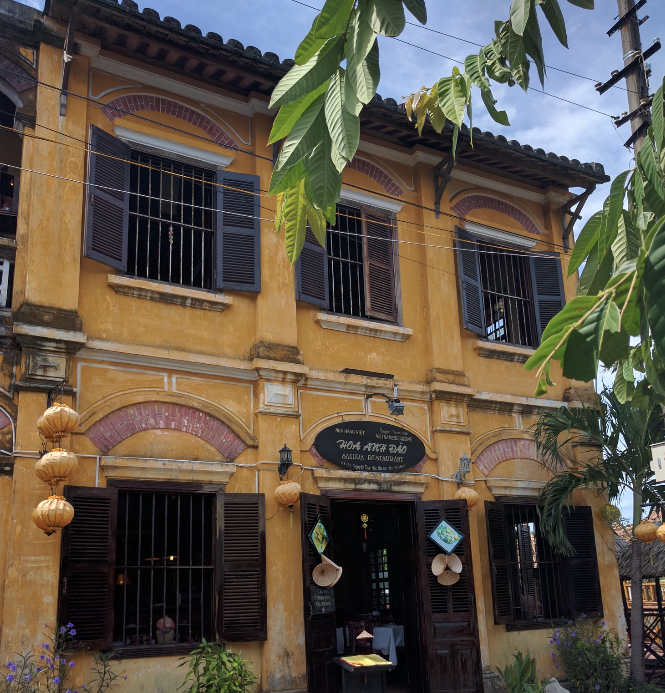 The word Hoi An, means “peaceful melting pot”, the town having been a central point for spice traders between the 7th and 10th centuries. Chinese, Portuguese, Dutch and Indians settled here during that time. Today it is a melting pot of activities, food, culture and shopping. 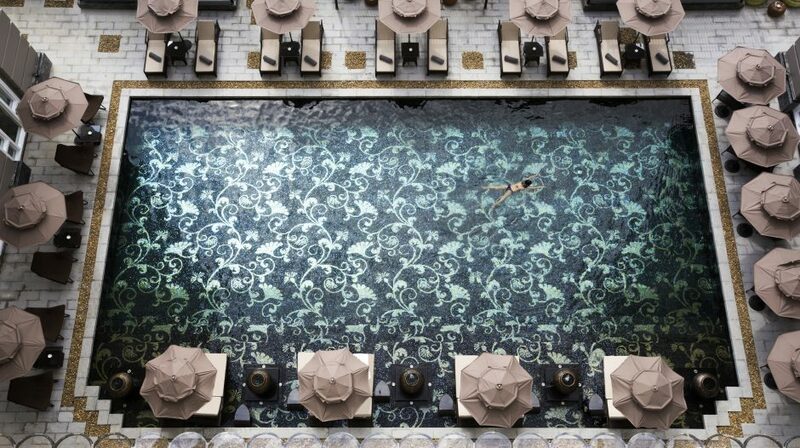 A great place to do a little, or a lot, as we found out. 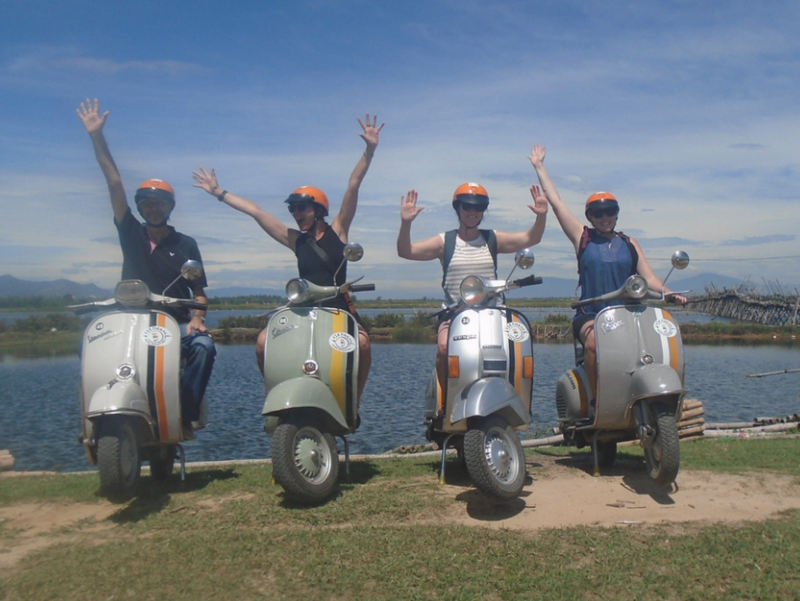 Here are 5 things you must do in Hoi An. 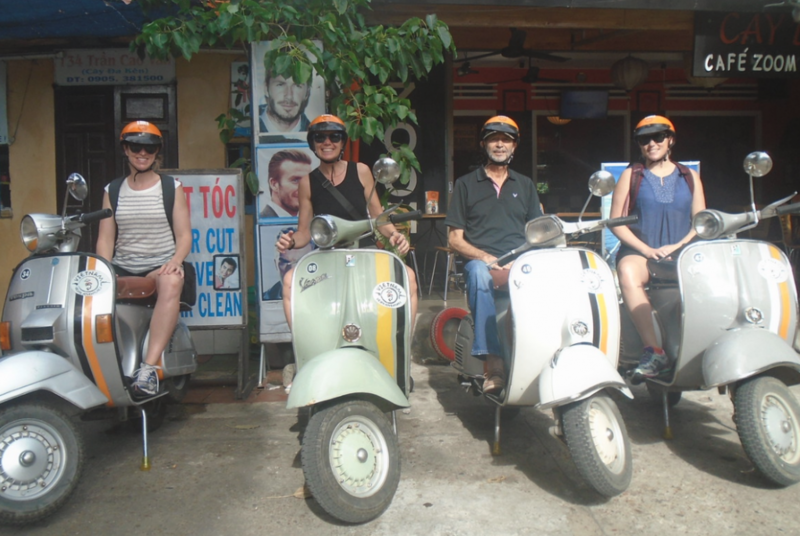 The best way to see Hoi An, is as the locals do, get on a bike, motorbike, or as we did on a Vespa (much cooler). 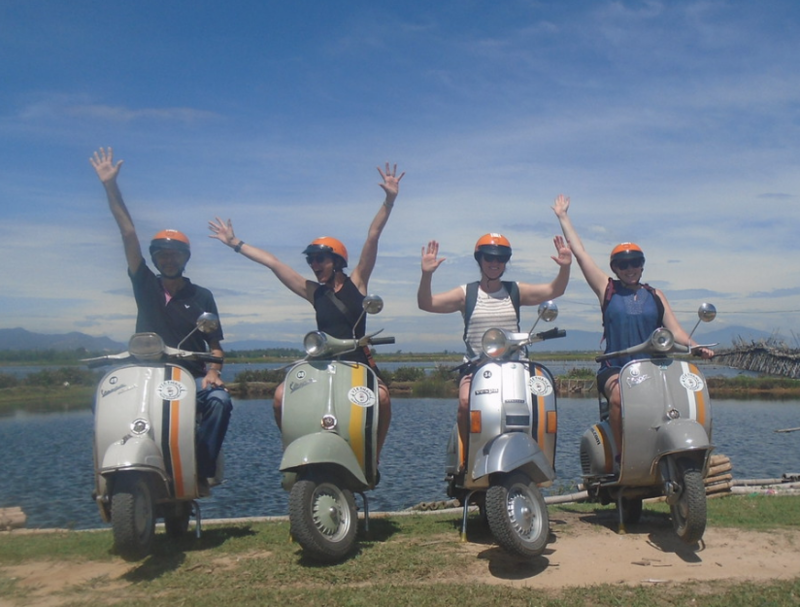 We joined the morning tour on offer from Vietnam Vespa Adventures to see the countryside. We were picked up from our hotel at 7.30 in the morning before enjoying a tea at Cafe Zoom and then heading off. We spent the morning far away from other tourists, seeing Vietnamese rural life. In the safe hands of the drivers, and our guide Van, we visited family temples, a boat yard, made rice paper rolls and tried a spot of weaving before having lunch in the rice fields and returning to Hoi An. A day to remember.